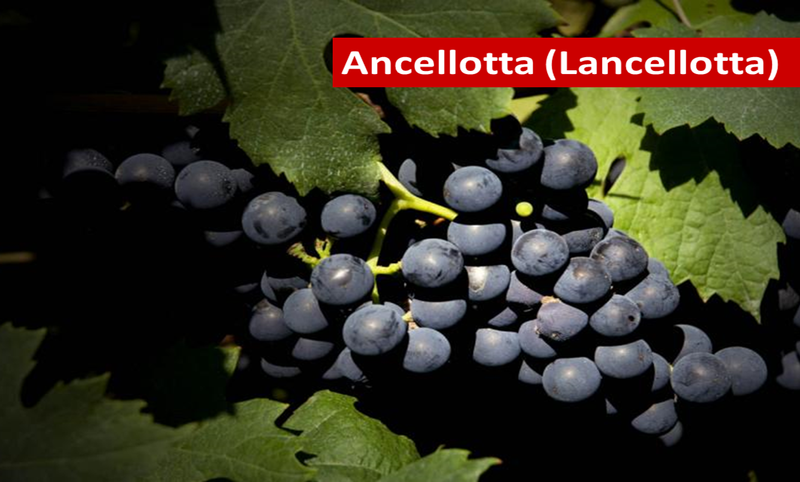 The Ancellotta grape is native to Italy’s Emilia-Romagna area and used in small amounts in some styles of Lambrusco. When I read that, I thought to myself, “Now there’s an obscure grape variety”! As first impressions often are, I was wrong! Italy has over 11,000 acres of Ancellotta, and while that can’t compare to Sangiovese’s 200,000 acres, it certainly doesn’t place it at the bottom of the very long list of grapes grown in Italy. Ancellotta is perhaps best known as a minor allowed component of several styles of Lambrusco. It is allowed to be used up to 15% in the blend of Lambrusco Salamino di Santa Croce DOC and Lambrusco Mantovano DOC. It’s also allowed, up to 15% in Lambrusco di Modena DOC and Lambrusco di Reggiano DOC. In Colli di Scandiano e di Canossa DOC, it may be used in Lambrusco—but only those produced with a minimum of 85% of either the Lambrusco Montericco or Lambrusco Grasparossa variety. But here’s where it gets interesting: did you know that Ancellotta is required to be at least 30% of the blend of Reggiano Rosso DOC? True fact! Plus, it is allowed to be up to 60% of the blend. So that’s where the 11,000 acres of Ancellotta are headed! The rest (40—70%) of the Reggiano Rosso DOC blend may be Cabernet Sauvignon, Fogarina, Malbo Gentile, Marzemino, Merlot, Sangiovese, or various members of the Lambrusco grape variety. The Ancellotta grape variety is also planted in Brazil where it is believed to cover at least 1,000 acres, mainly in the Serra Gaúcha area. At the Don Guerino Winery in Alto Feliz, it is used in “Top Blend,” a gran reserva blended red wine, alongside Merlot, Teroldego, Tannat, and Cabernet Sauvignon. Don Guerino also produces a 100% varietal Ancellotta that has been described as having a deep intense color, aromas and flavors of plum, blackberry and spice; great structure, and ripe tannins. Ancellotta is also grown in Switzerland. 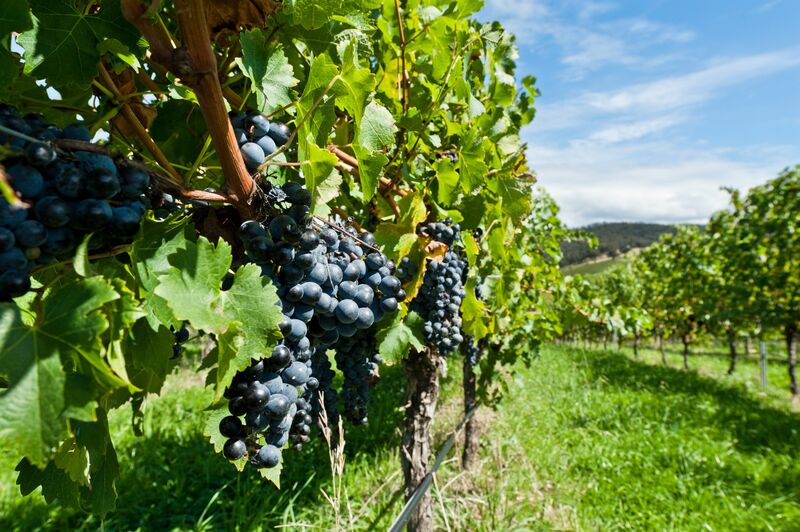 It is often used, in small amounts, for its color-enhancing quality in the Pinot Noir of the Valais region. It is also used in the blended wine known as Dôle. Dôle, which must contain a combined minimum of 85% Pinot Noir and/or Gamay, is considered to be among the finest wines of Switzerland. Other grapes used in Dôle may include Carminoir (a recent Cabernet Sauvignon X Pinot Noir cross), Merlot, Syrah, and—you guessed it—Ancellotta.